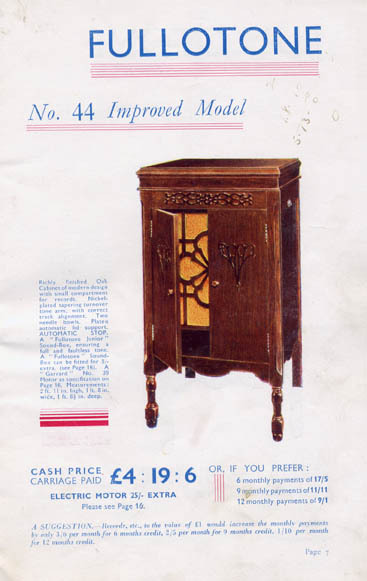 Picture and information courtesy of Mr Roy Featherstone who's Uncle, Albert (Bert) C McDougall & Grandfather, Charles McDougall set up the business immediately after WW1 in 1918/1919. 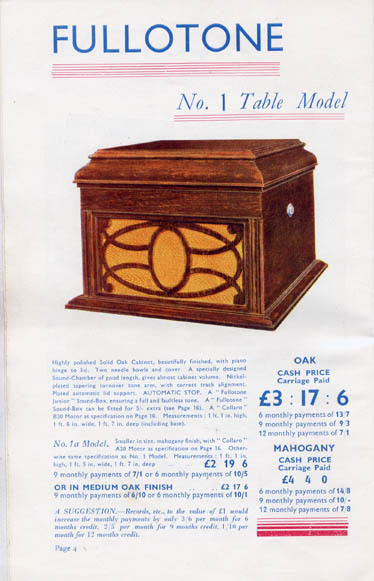 Perhaps his Grandfather just bank rolled the company?, because at 50 it would be rather late in life to embark upon a new business of this size. 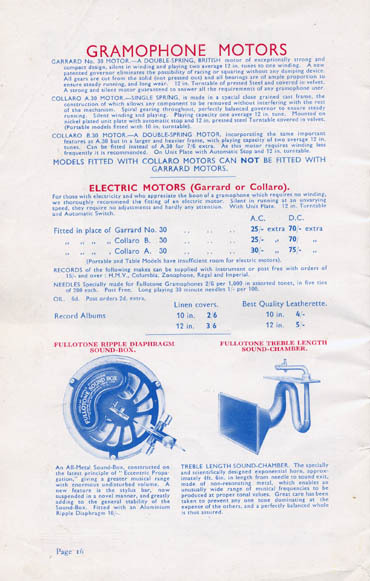 The Company has gone through various name and address changes. 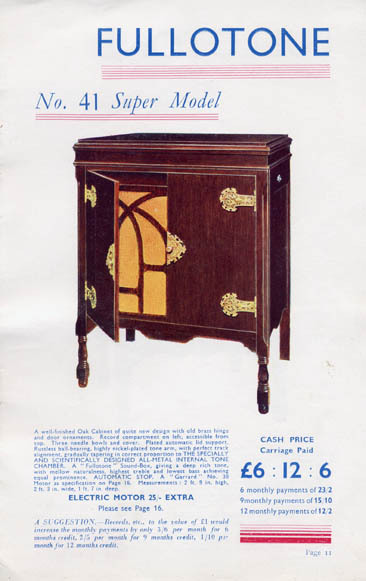 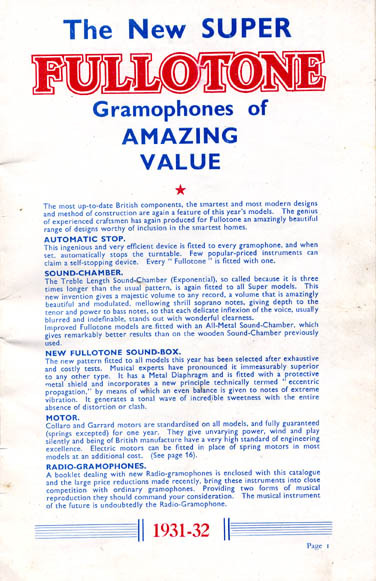 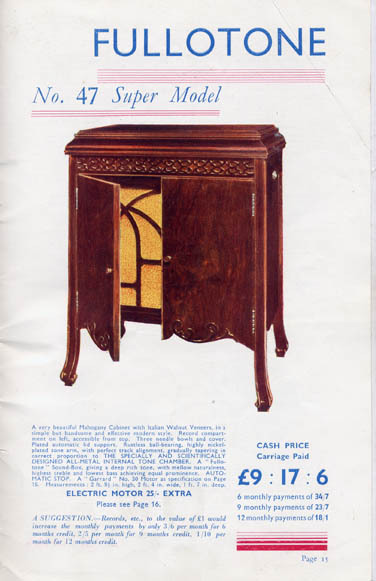 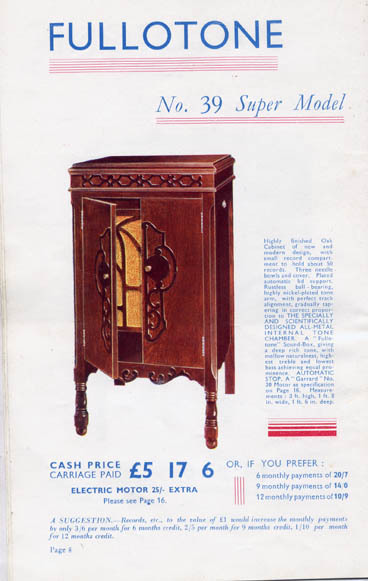 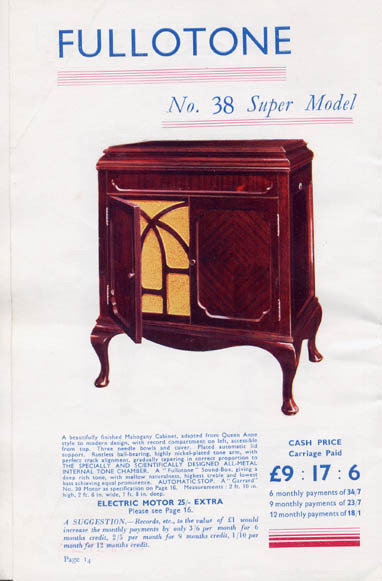 The picture is of "The Cabinet Gramophone Company", but the below 1931/32 brochure has the name as "Fullotone Gramophones (1929) Ltd", perhaps the Company took on Partners or became a Public Company. 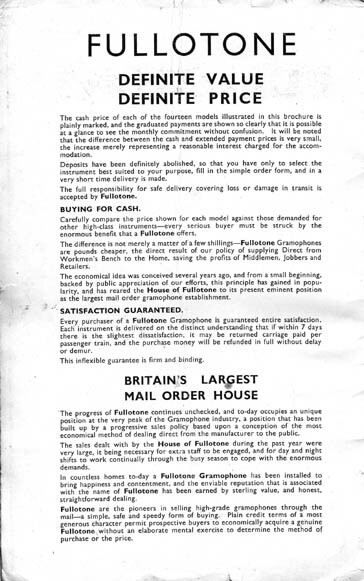 What happened during WW2 is unknown, but soon after WW2, Albert (Bert) C McDougall set up another company called "Puratone" with a single branch in Fife Road, Kingston, Surrey. 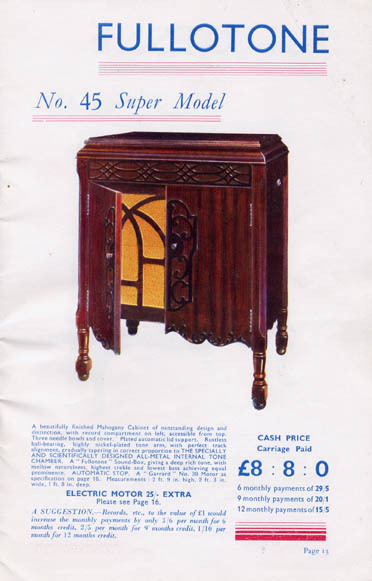 This was also very successful, and traded in that new fangled thing called Television, plus steam radios. 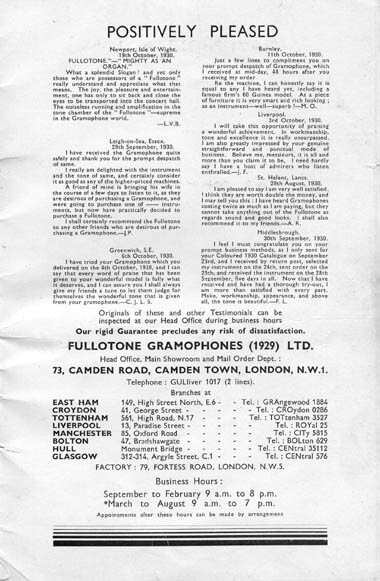 Kelly's Business Directory for 1922 and 1923 lists "The Cabinet Gramophone Company" - FULLOTONE at 229 Great College Street, which was renamed Royal Street - (I understand). 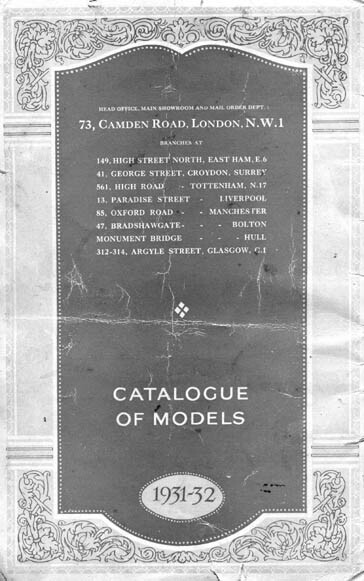 By 1926 and 1927 it was listed as 73 Camden Road Main Shop with Despatch address of Dept. 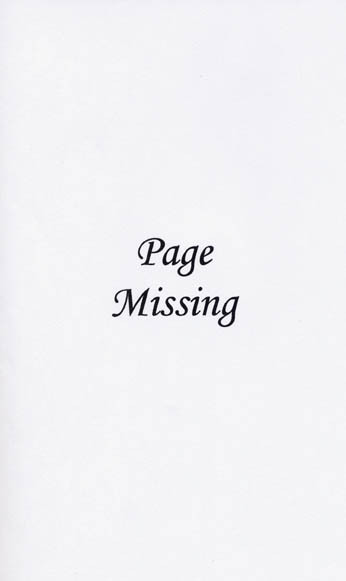 14 Miller Street London W1, both addresses are in Camden Town, London. 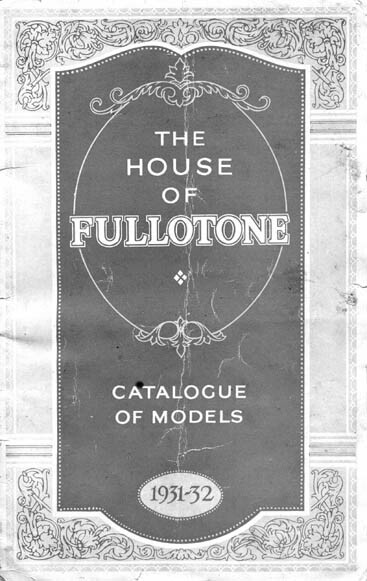 Fullotone boasted they were "London's Largest Gramophone Mail Order House", there Gramophones were also to be found For Sale in shops,you might come across Fullotone adverts on 78 rpm record sleeves or Gramophone Needle tins bearing the Fullotone brand name. 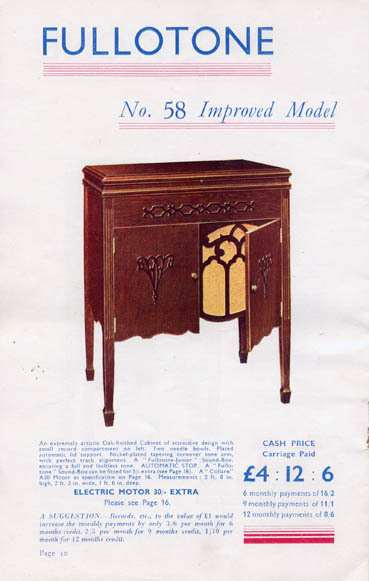 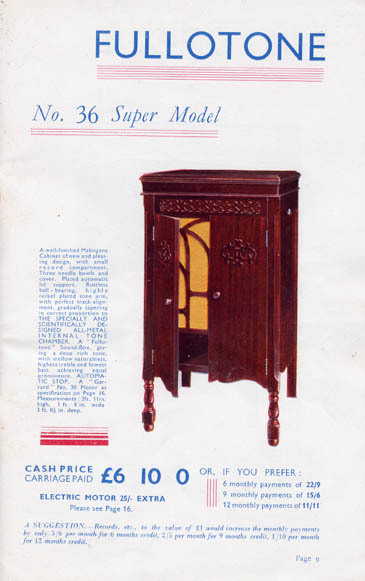 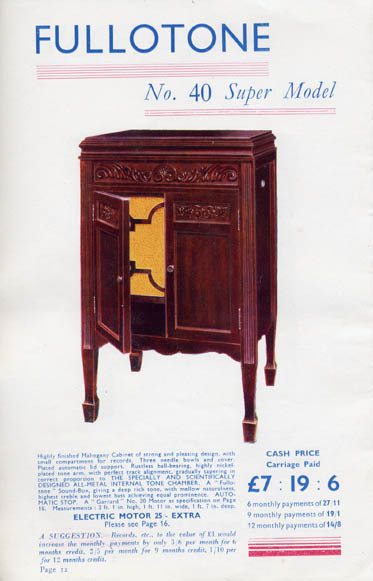 The cabinets were generally of above average construction and quality motors were used; supplied by companies like Garrard and Collaro. 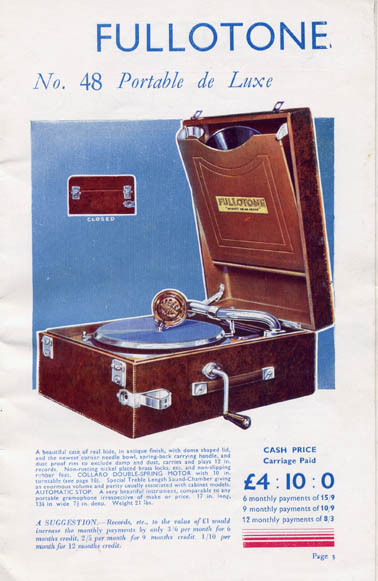 The two cups found on the record decks of most table and floor standing models are for Gramophone needles, the one with the cover is for "used" needles because you can't easily get them out and inadvertently use them again. 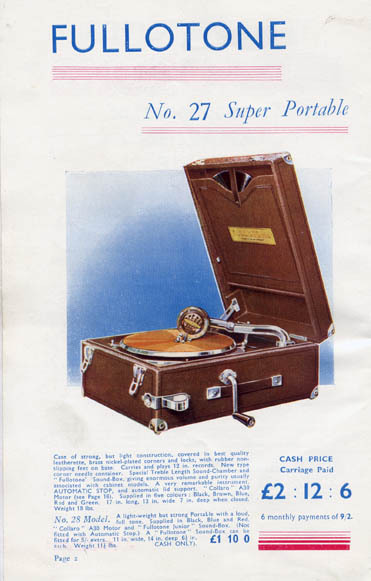 In regard to manufacturing date:- The Soundbox is the part where the needle goes in, until the late 1920's Soundboxes were constructed with an uncovered mica (looks like plastic) diaphragm, from the late 20's onwards the Soundbox had a cover enclosing a tinfoil diaphragm.